A portion of the products donated were sent to Hawaii to help with volcano disaster-relief efforts. 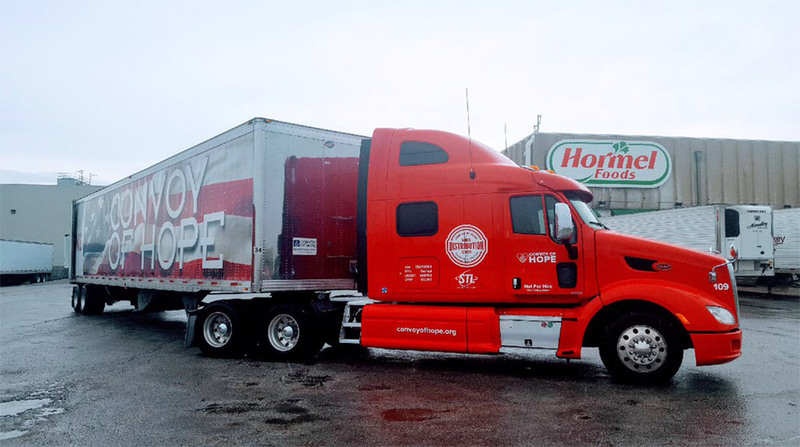 Hormel Foods Corporation (NYSE: HRL) today announced it has donated over 37,000 cases (600,000+ cans) of shelf-stable food products to Convoy of Hope for disaster- and other hunger-relief efforts around the world. A portion of the products donated were sent to Hawaii to help with volcano disaster-relief efforts. In addition to its disaster- and hunger-relief efforts with Convoy of Hope, Hormel Foods has a long-standing partnership with Feeding America and other foodbanks, and continually donates products that can be used for hunger relief. In 2017, Hormel Foods donated $5.4 million in cash and product donations toward these efforts. For additional information about the company’s hunger-relief efforts, please visit https://csr.hormelfoods.com/.